If you’re thinking about car covers, here are several questions you should ask yourself to figure out if one is right for you. 1. How Often Do You Use Your Car? First of all, consider how often you use your car. If you’re going to cover your car for an extended period, then you don’t need to worry about ease of removal…but if you’re covering and uncovering your car every other weekend, you’ll want to invest in a cover that’s easy to remove. Our next factor in determining whether a car cover is the best option in protecting your car is the current condition. Is your cars exterior already in good condition? If so, it is much cheaper to keep it in good condition than to incur the high costs of repairing dents, dings, cracks and scratched or faded paint. 3. Is Your Car Parked In a Garage? It is also important to consider how much protection your car currently has. Is it parked inside a garage or outside? Is it parked along a busy street, a neighborhood street or in a driveway? Each of these parking situations may have certain protections or certain hazards that go along with them. Generally speaking, the worse the conditions, the better the cover should be. 4. How Often Do You Wash Your Car? If you are the type of person who enjoys washing their car each weekend, this decreases the benefit of protection from dirt that may fall on a parked car…which means a cover might not be necessary. However, remember that a car cover can still offer protection from sun damage, debris, acid rain, etc. Ultimately, the decision of whether or not to cover your car isn’t too complicated. If it’s a vehicle that’s parked outside and rarely driven, a car cover is the best way to preserve it’s condition and value. 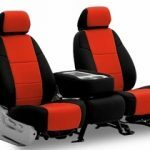 Article by Will from Custom Car Covers Dot Com. Is Your Mechanic Ripping You Off?